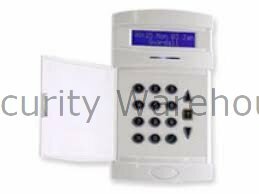 Guardall G3 LCD keypad : Security Warehouse. Security Supplies. Cheap Prices for Texecom, Pyronix, Visonic, Scantronic, Honeywell, Online Security Products, Trade Prices, Cheap Suppliers of Texecom, Honeywell, Pyronix, Visonic, Scantronic, Cooper, Dedicated Micros, GJD, Voltek, Risco, Rokonet, Dualcom.